Zinc, Magnesium, Selenium and Taurine are all essential nutrients needed for us to be at the top of our game. It doesn’t matter how much time and effort we are putting into our workouts, if any of these micronutrients are lacking, then our health will suffer. and can also weaken our immune systems leaving as susceptible to getting sick. 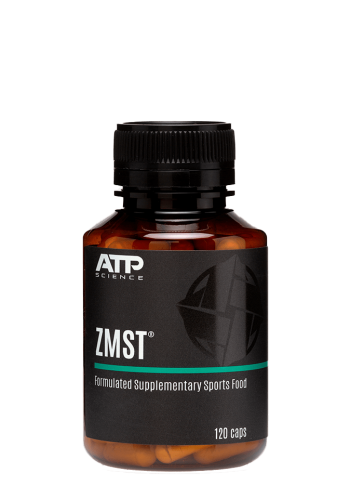 This is where the new ZMST by ATP Science comes in. They have carefully formulated a quality combination of easily absorbable forms of Magnesium and Zinc and thrown in the added benefit of Selenium and Taurine. They have put in the hard work to ensure we are getting the proper ratios of key nutrients and proper therapeutic doses that make this product stand out from the crowd. 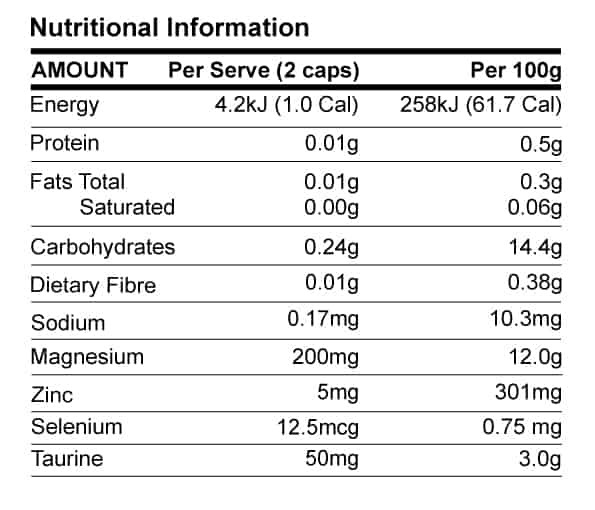 Let’s take a closer look at the ingredients to see how you could benefit from them. A key player in energy production as the breakdown carbohydrates and fats to produce energy (ATP) requires numerous magnesium dependent chemical reactions. Supports our stress response. When our body releases hormones in response to stress, this can lead to magnesium depletion. Our body also needs it when creating mood-enhancing neurotransmitters, making it important for our nervous system to function correctly. Needed for muscle relaxation and contraction so if you find you suffer from increased muscle tension, spasms, cramps or restlessness there is a good chance you need Magnesium. Magnesium really has a unique ability to address a wide range of health concerns and the benefits of supplementation will help you on your way to better health and greater performance. Like Magnesium, Zinc is needed for a variety of enzymatic reactions to take place within our body. This means every time you break something down (such as food to make energy) or build something up (protein synthesis) our body needs both these nutrients for this to happen efficiently. Important for prostate health and healthy testosterone levels. Both magnesium and zinc require Selenium to function properly. This means that if selenium is deficient, which is quite common in Australia, magnesium and zinc supplements can’t work properly. Involved in our detoxification pathways. Taurine is one of the most abundant free amino acids in humans. Instead of being incorporated into proteins, it is found free in many tissues and performs a very important role in increasing intracellular magnesium. This essentially means Taurine will hold Magnesium in cells which is essential when it comes to Magnesium’s therapeutic benefits. These nutrients all have a growing body of scientific evidence behind them. If you are looking to take control of your health and are ready to perform at your best, then ATP’s ZMST is the perfect addition to your workout and supplement regimen.